Tiny Corners / jamie olson photography // Wontons. Wonton soup is my ultimate comfort food. If I'm sick or feeling down, it's what I want. I made my first batch of homemade wonton soup tonight. 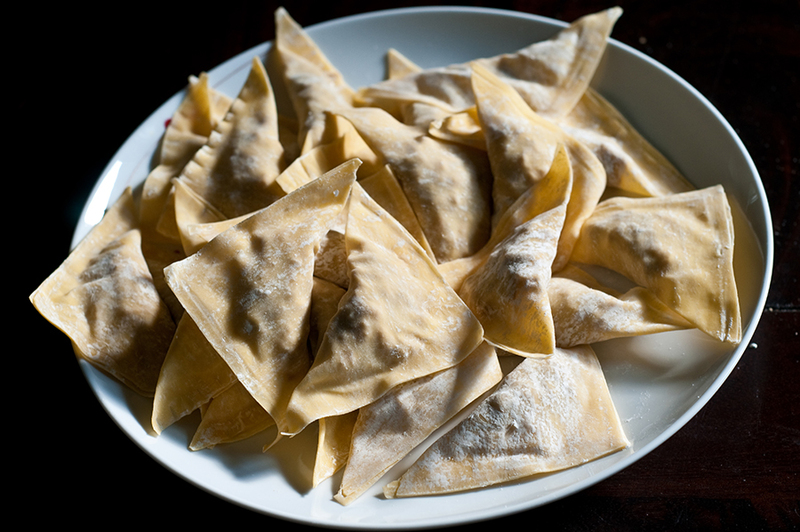 It was actually pretty good, despite the several wontons that fell apart and spilled their fillings.